It might be reading too much into things to note, right off the bat, that Google’s new SoHo pop-up shop is a mere block or two from Apple’s own Prince st. location. After all, that five block radius has hosted brand stores ranging from Samsung to LittleBits. Beats had a flagship shop down there before, as well, being swallowed up by Apple. There’s even, weirdly enough, a Cap’N Crunch themed pop-up just around the corner on Broadway. 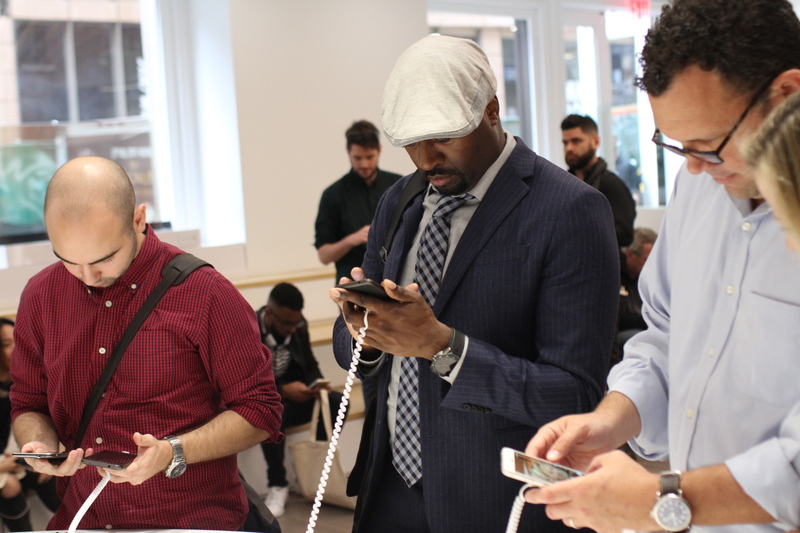 It’s a heavily trafficked, upscale shopping area (between the copious perpetual Manhattan construction) – an ideal spot to pop in and play around with shiny new smartphone or VR headset between brunch and a trip to Dean and Deluca. The temporary location is hard to miss with the big Google flag flying outside and the large security guy standing at the door, clicking a hand tally counter as people walk through the door, so the drive for some time with the new Pixel doesn’t push things over capacity. The place is white-walled and well lit, broken up by flowing wooden columns. It’s the sort of space you might visit to overpay $500 for a messenger bag. 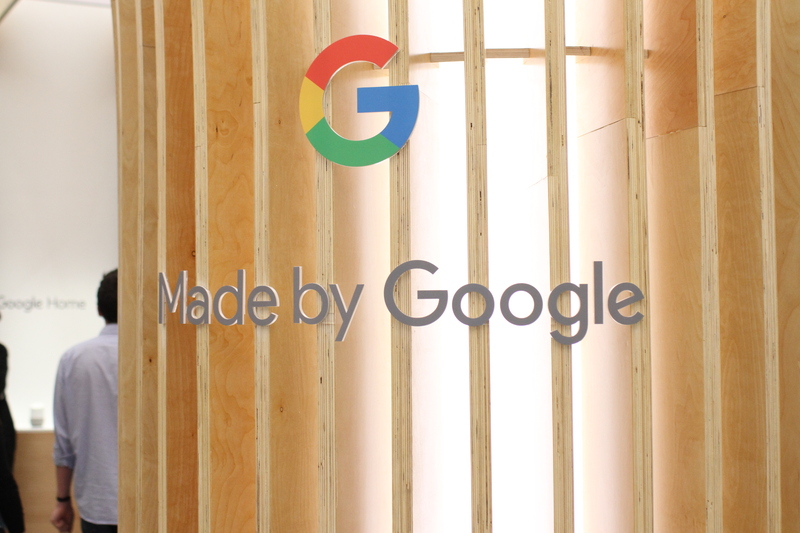 But the Made By Google shop isn’t about direct sales so much as it is getting its trio of recently announced devices in the hands of trendy consumers. Text on the entry wall welcomes visitors to its “little corner shop.” To its right, an automated sculpture spins cardboard modules that alternately spell out the company’s name and display brightly colored designs in keeping with the Made by Google aesthetic. The store is broken up by product. In the back, two small glass cubicles are made up to look like a living room and kitchen, where Google reps demonstrating Home’s smart home functionality, from turning on the TV to beat boxing by request. A line of people nearby wait to test out the new Daydream handset, just in front of a row of Pixels. OK Google, where can a guy get some mimosas around here?